Little Miss & The Goodfellas Photoshoots are back! Due to popular demand our Little Miss & The Goodfellas photoshoots are back for the half term holiday. These sessions are limited so please book as soon as you can so you don't miss out! Your child must be aged between 5-12. Please read the T & C's below. Our character photoshoots are all about capturing the personalities of the children. The shoot is about them expressing themselves, showing off who they are. Capturing their quirky chuckles, shy smiles or goofy grins. We ask that they bring in their favourite toys, items, hobbies and interests whether they play sports, dance, play music, play computer games, read books. Whatever makes them happy. We want to tell their story through their images. 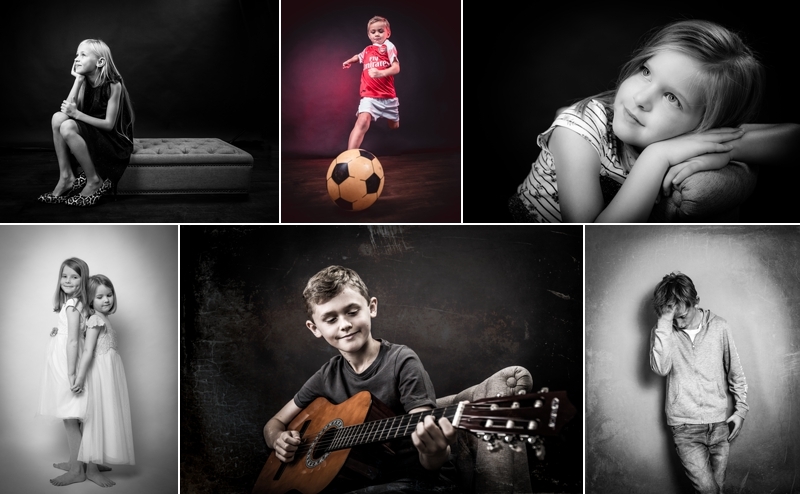 The idea would be to enter a few of the images from each shoot into The Xperience National Portrait Awards 2019. We have already had 13 images through to the finals so far this year and we would love to win one of the main awards in November. The photoshoots will take place during the February half-term & the Easter holidays, plus after school sessions Monday to Friday. Not available to those who have had a photography experience with us over the last 12 months. A £20 booking fee is payable per child to secure your booking. Your fee will be refundable at the end of the ordering session where you come back to view your lovely photos. Sessions are very precious to us, so this is a non refundable fee if the client fails to arrive for the photoshoot or ordering session. You can of course re-schedule without any charge if you notify us upto 24hrs before the booking time. These sessions will run Monday through to Friday during the Half Term & Easter holidays. You may choose the photo for your 7 inch frame at the ordering session, no cash alternative is available.